More than 25 years in Photography and Videography Industry & Award Winning Photographer of the Philippines !!! Overlook Photography, Was the Official Photographer of 'Ang Probinsyano' The Wedding Love Story of CARDO & ALYANA (Coco Martin and Yassi Pressman. Singing for Manny Pacquiao's events in California before his biggest fight with "Money" Mayweather in Vegas. 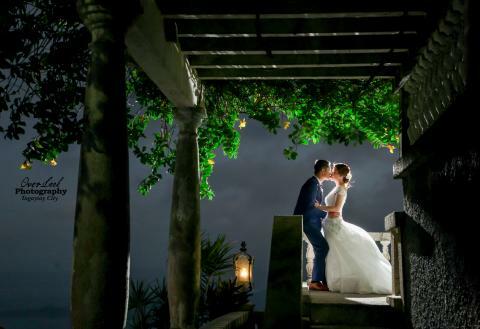 Overlook Photographer, Wedding Photo and Video Services Base in Tagaytay, City, is a component city in the province of Cavite, in the Philippines. It is one of the country's most popular tourist destinations and The Wedding Capital of the Philippines. Tagaytay overlooks Taal Lake in Batangas and provides views of Taal Volcano Island in the middle of the lake through various vantage points situated in the city.